Find a speaker by name -> Allen, Leanne Baylis, Allan R. Collis, Martin Dr. Cutler, Dave Duplessis, Pierre Dr. Dyke, Rob Hister, Art Dr. Ibell, Simon Jeffery, Keith Dr. Johnston, Peter The Kindness Crew King, Steve Lauzon, Lara Dr. Lewis-Daly, Linda Mason, Peter Pope, Bob Rodney, Dave Wardle, Nancy Dr. Weaver, Andrew Dr. Zeman, Philip Michael Dr.
From scientists to corporate leaders, the world’s top athletes to the wild adventurer, all of our premium keynote speakers are "the" experts in their field. Search our listings to find the right keynote or sessional speaker for your important event. All of our speakers can customize their talk to meet your event goals. 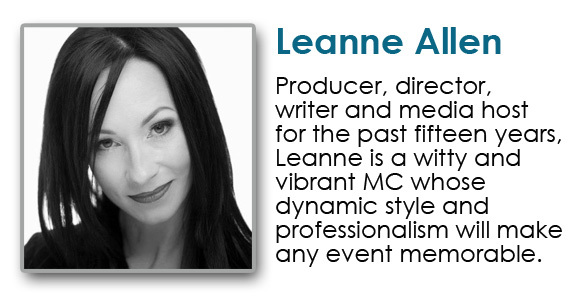 Need MC hosting for a banquet, festival, fundraiser or award ceremony? We have the right presenter for you! The right speaker can positively inspire your audience for days after your event. A great keynote or sessional speaker makes the difference between a memorable and a forgettable occasion. At Speakwell, we have been helping clients find the perfect keynote or inspirational speaker for outstanding seminars, events and conferences since 1998. Looking for the perfect keynote or sessional? Let our expertise work for you. Our talks on leadership, motivation and change will inspire your audience and make your event memorable. Search our listings to find the right speaker or contact us directly so we can help you with your selection. At Speakwell, our job is to make yours easier!